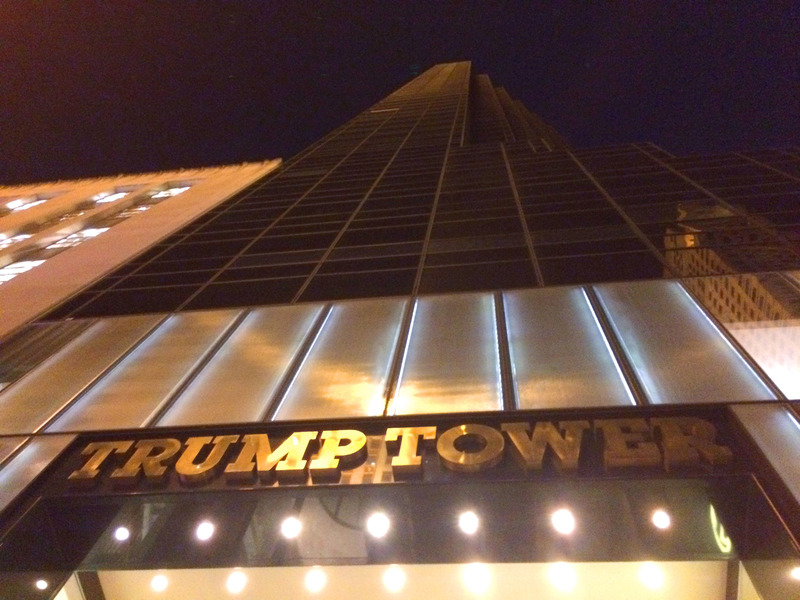 While strolling down NYC’s 5th Avenue on a warm summer evening, I stood in front of the TRUMP Tower, stretching my neck to absorb the full grandiose existence of this golden monolithic structure stretching far, far into the dark sky. TRUMP’s otherworldly construction invokes the nightmarish quality of corporate greed’s imposing presence. When you plant yourself into the urban space with such aggressive permanence, an intimidating mass of steel rising dramatically out of the sidewalk, it’s no wonder that the man behind this structure is so obsessed with his own grandeur. With his name famously embossed, TRUMP casts himself as a Supreme Monarch, his buildings designed to lionize his Empire. We can only wonder what might transpire should TRUMP ever be given the opportunity to rule America with the vanity of his Midas Touch.